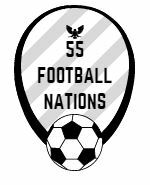 55 Football Nations is one big board game. It’s a logistical challenge to experience top division football across Europe in one season. It’s a balance of organisation and spontaneity. It’s about finding stories for the planned book. And having fun. I’m often asked how I deal with such a challenge. I break it into smaller parts. My latest escapade was to Denmark and Poland, two nearby nations with leagues that ran later into December than many. I didn’t really start planning until October. Every Danish Superliga match is televised over a four day weekend. The schedules were finalised six weeks before my visit. This was quite comfortable compared to some leagues. I booked my flights and kept my eye on the Superliga. Newly promoted Helsingør were bottom. Brøndby were top. This would be an interesting contrast. I decided to visit both. I could have flown to Denmark on match day. But I like to get a feel for a place and spent two nights in Helsingør. The morning of the match was cold. I layered up and circled the historic port city with its mighty Kronborg castle, the setting for Hamlet, interesting churches and narrow lanes. I liked it more than I thought I would. Denmark, polite, pretty and predictable, was enjoyably different from my recent road trip in the Balkans. The Helsingør stadium is modest. It has one old wooden stand backed by a foresty hill and two metal stands erected specifically for this first Superliga season. I arrived nearly an hour before kick-off and stood behind the goal. I like standing at football matches even though it makes taking notes and photographs simultaneously more challenging. I spotted a line of pint glasses neatly pinned to the back of the advertising boards. “Don’t touch those” said Thomas, first in Danish, then in English. “Don’t worry, I’m English. I don’t steal beers.” I responded. Thomas was a long-term Brøndby fan but also supported Helsingør, his local team. He offered me a beer. Helsingør is that sort of place. I chatted to his friends. I learnt about their pride in the city and the club. They introduced me to the mayor of Helsingør and Janus, the club’s director. Both were relieved that Helsingør had clung on to their lead against Lyngby. These were the sort of chance encounters that enliven my experiences. Eric in Kazakhstan and Nikita in Russia gave me a real flavour of their country and football clubs. I like talking to people. Sometimes it works. Sometimes it doesn’t. Helsingør was quaint and quiet. I wanted Brøndby to be noisier. Spirits were high. A tenth successive win would secure top spot before the two month winter break. I had contacted Brøndby supporters’ club the week before the match. They welcomed my visit. Sometimes my messages to football clubs are ignored. Even when I translate them into bad Russian. I stood on the tightly packed Sydsiden stand with new football friends. Flags, flares, streamers and fireworks announced the start of a match I could barely see. It was impossible to photograph through the surrounding netting. I absorbed the bouncing atmosphere as Brøndby scored two excellent goals. And then the fan frustration as they conceded two soft ones to old rivals AGF. Polish television had been interested in my project for some time. “When are you coming to Poland?” they kept asking. The fiery Kraków derby caught my attention. They informed me it would be held on a Tuesday or Wednesday. Midweek matches help my planning. I sometimes hedge my bets and stay longer than I really need to. Kraków is an engaging city and considerably cheaper than Denmark. I stayed three nights. I met Pawel, a television producer from Canal+ Sport, outside my Kazimierz guesthouse. We chatted about Polish football in a tapas restaurant. He accompanied me to the match. I sometimes sit next to fans fluent in both English and local football. The fans around me supported Real Madrid and Portsmouth. I was not going to learn much from them. The stylish stadium was bright and good for photos. Pawel translated chants that Wisla and Cracovia hurled into the cauldron. “They’re quite basic” he said. They didn’t use up much space in my notebook. Cracovia fans propelled fireworks into the away support and held up play for 20 minutes. I prepared some words for the camera that didn’t reference crowd trouble. I was interviewed as Wisla were four goals up and the game was running out of steam. Cracovia scored the meekest of consolations but this wasn’t the time to find home fans to speak to. I scuttled back to Kazimierz for a burger and bed. It was easier to organise these matches than many. But still I was unsure about who I would meet until I arrived. I found random fans in Helsingør, an accommodating supporters’ club at Brøndby and media insight in Kraków. The planned and the unplanned. This is the mix of people and experiences that provides the continuous beat to my travels.